An important part of having a solid data backup strategy is including an offsite service. One of the limitations of Carbonite, is it only backups your local drive, unless you purchase the Plus or Premier version. Here’s a ways to bypass that restriction and backup external and network drives too. An important part of having a solid data backup strategy is including an offsite service. One of the limitations of Carbonite is that it only backs up your local drive, unless you purchase the Plus or Premier version. Here’s a way to bypass that restriction and backup external and network drives too. 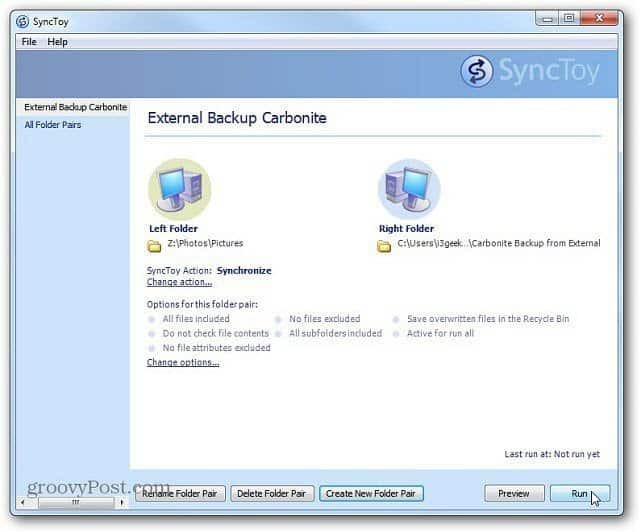 First, download and install the 32 or 64-bit version of SyncToy 2.1 for Windows. After it’s installed, Click Create New Folder Pair button at the bottom of the page. Next, pick the Left Folder of the pair. This will be the folder on your external drive. Here I am selecting the photos folder on the external drive on my main system where I have my multimedia files. Then for the Right Folder, select a folder on your local hard drive. Just to keep things straight, I created a new folder and called it Carbonite External Backup. 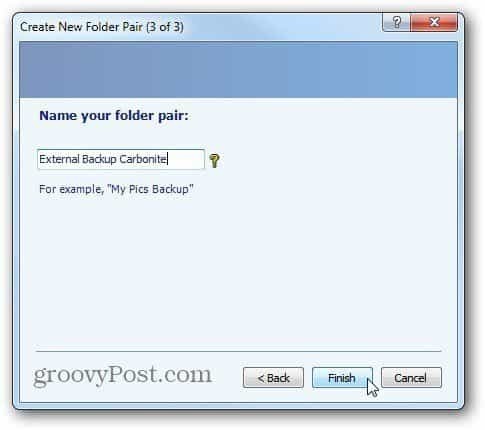 The easiest place to put the Right Folder is in a directory already being backed up by Carbonite. Click Next. 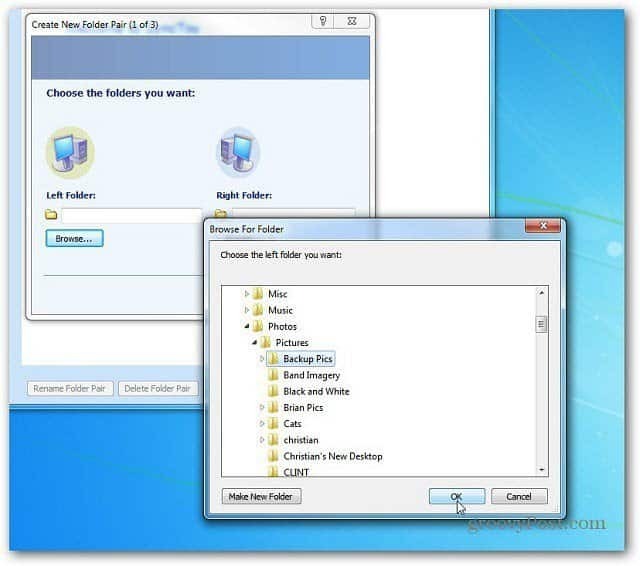 Leave the Wizard set to the default to synchronize the two folders. Click Next. 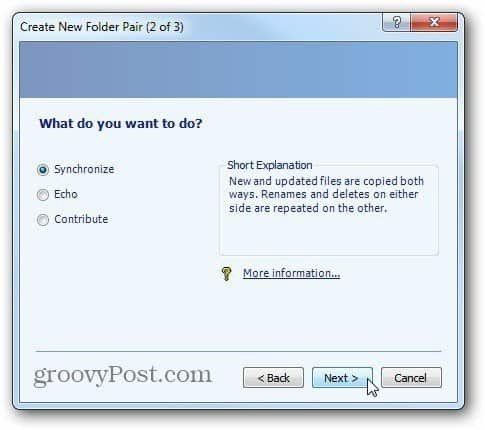 Now create a Name for the Synchronization Job of the folder pairs. Click Finish. 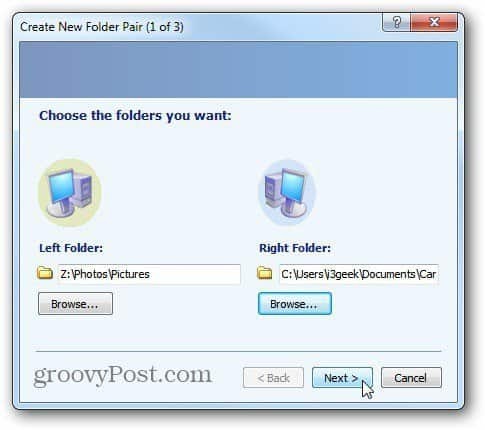 You’re shown an overview of the folder synchronization job. If everything looks correct, click Run. 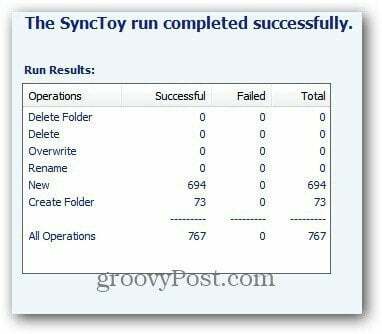 When the sync completes, you’re shown an overview of the run results. In this example everything was successful. Click Close. With Carbonite, a green dot appears next to the folder letting you know it’s being backed up. 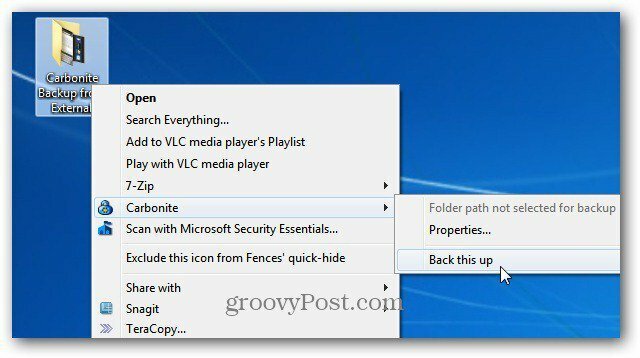 If you put the Right Folder into a location that isn’t being backed up by Carbonite, simply right click it and go to Carbonite >> Back This Up. That’s it. 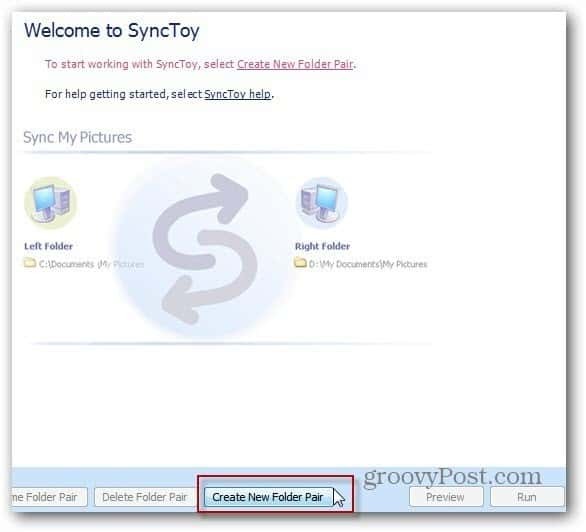 Now create a new sync job or close out of SyncToy. That’s all there is to it. After the data from the local drive you transferred over is backed up to Carbonite continue to run the job automatically. This comes in handy if you have a Windows Home Server and want to make sure your most vital data is backed up offsite. By this technique, it sounds like that you need to have space on your actual local drives equal to that of the amount of disk space used on the external or network drive. I’ve been using Backblaze for some time now, and while it does offer backup of external (read: USB) drives, they do not offer backup of network attached storage (NAS). As of yesterday, I’ve converted having an extra machine and USB drive as my network storage to an actual NAS. However, to be able to back that up, I’m going to have keep the local machine in play, and hope I Have 1 to 2 TB of storage available? That’s unlikely. Are there any other tricks you know of? I intend to try using some form of “map this network drive to a folder mount point” sort of thing, see if I can get something like c:\fakeFolderThatIsActuallyTheNetworkDriveMount and get that backed up that way. Here’s hoping. I believe the whole point in ‘tricking’ carbonite is to NOT copy your data locally. In this respect, the article misses the point.